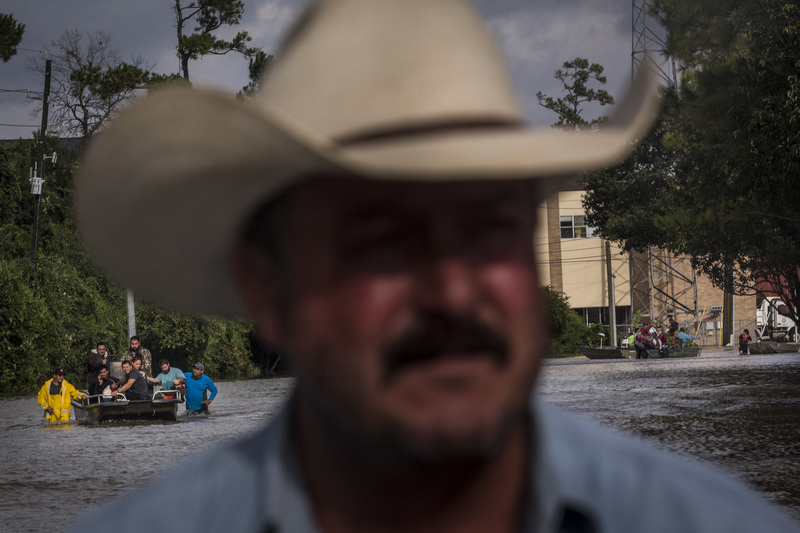 Doug Baxter, a civilian search and rescue worker, drives his boat through the Energy Corridor neighborhood of Houston, TX on on August 29, 2017. The neighborhood was flooded after the Army Corps of Engineers released of the Addicks Reservoir after it was inundated with rain from Hurricane Harvey. Thousands of people have been displaced since the storm made landfall last week and at least 10 more inches of rain is expected.